2016 continues to be very favorable for the shiny yellow metal. Is gold showing its undeniable value? This week, Your News to Know brings you the hottest topics involving the gold market and the overall economy. Stories include: Is the current gold surge the real deal? What is driving up the price of gold? Lastly, gold bugs prosper in the negative yielding world. Is the current gold surge the real deal? Some are curious whether gold’s current spectacular rally is sustainable. Notable investor Frank Holmes not only believes so, but also sees it merely as the start of something bigger. Present circumstances are certainly backing Holmes’ views: After declining for a few years, gold is coming back fast in the midst of a plunging stock market and the possibility of negative interest rates in the U.S.
S&P Index stocks have fallen 10% this year alone, with even reliable tech stocks like Netflix, Facebook and Amazon having a lackluster showing. As a result, the number of companies trimming or suspending dividends surpassed 2008 levels last year with nearly 100 more dividends being cut in 2015 than in 2008 – a big tell that more trouble is likely on the horizon. The stock market situation in China is even more dire – the Shanghai Composite Index lost 46% since June 2015. As if these factors weren’t motivating more and more people to turn to gold already, there is also talk of the Federal Reserve moving the U.S. into negative interest rates. While this might seem like a stretch, it shouldn’t: Sweden, Switzerland, Denmark and Japan are just some noteworthy examples of countries with a negative-interest central bank, and the Fed has gone on record urging U.S. banks to prepare for such an environment. JP Morgan forecasts that rates could fall as low as -1.3%. And what does all this mean for gold and the future of its rally? Sure enough, the metal still has some mileage ahead before reaching its heights from 2011, which was the culmination of a decade-long bull market that saw gold’s value increase by 645%. Yet the stage seems to be set: U.S. and European mints have experienced record coin sales even before the current stock market crisis, with the Austrian Mint selling four times more than in 2008 pre-crisis. China is writing very much the same story – the record 2,596 tons that went through the Shanghai Gold Exchange (SGE) in 2015 represent more than 90% of global output for the year, and the country’s central bank continues amassing gold bullion to support its currency. All this helped gold break through its 200-day moving average and put it on course for the longest winning streak since 2011. But perhaps the most telling of all are the positions that banks and money managers are assuming on the metal. “I always say to follow the money, and right now American money managers and hedge funds are increasing their bets that gold prices will continue to climb,” says Holmes. Recently, HSBC suggested that we may be in the early stages of a gold bull market that will probably bring the yellow metal back up to at least $1,500. Even better, the big bank said that the upcoming market “has the potential eventually to exceed the speculative frenzy seen in 2011.” Considering gold jumped a further 3% from the time Holmes penned his article to its publication, such speculation hardly seems unreasonable. What factors are currently driving up the price of gold? Writing for CBS Money Watch, Anthony Mirhaydari does his best to explain what’s really driving up the price of gold and allowing it to post a rally for the ages. And what a rally it has been so far – already approaching $1,240 per ounce last week, gold is now up $175 per ounce since January. The stock market is what everyone has been pointing to as the cause for gold’s rise, and with good reason – recently, the S&P 500 Index very nearly fell below a support level that would finally put an end to the post-2011 stimulus-driven uptrend of stocks. But stocks are just the tip of the iceberg that’s prompting the rise of the metals. Crude oil is plunging almost as fast with possible cuts to production ahead, China’s economy is slowing down, Europe is facing a new debt crisis and the Zika virus is bringing a special brand of uncertainty to the First World. Closer to home, recent data shows lackluster corporate earnings and an economy that’s losing steam, which the Fed admits could be made worse by tightening financial conditions. Speaking of the Fed, many now believe that the Reserve moved too fast with its rates hike and will have to double back. With the possibility of the Fed easing monetary policy again, some analysts swear by gold as means of protection – JPMorgan Chase head of quantitative trading Marko Kolanovic advises investors to buy gold as a hedge against rising global recession risks and the aforementioned expected policy response by the Fed. While others aren’t as sold on the yellow metal just yet, one thing is clear: There’s no shortage of appeal in an investment that isn’t a liability to someone else and has maintained its purchasing power throughout all of human history. Those who have stuck by gold during its three-year skid are now starting to reap the rewards for loyalty. Josh Saul is one example of these loyal people. Formerly a metals trader, he now runs a bullion company called Pure Gold Company that operates next to the Bank of England. Founded three years ago, Saul’s enterprise recently expanded as he was forced to hire 10 temporary staff to deal with the volume of calls. “We’ve seen a huge increase in the amount of inquiries and the amount of people looking to remove exposure to equities, banks, bonds and government debt,” he says. 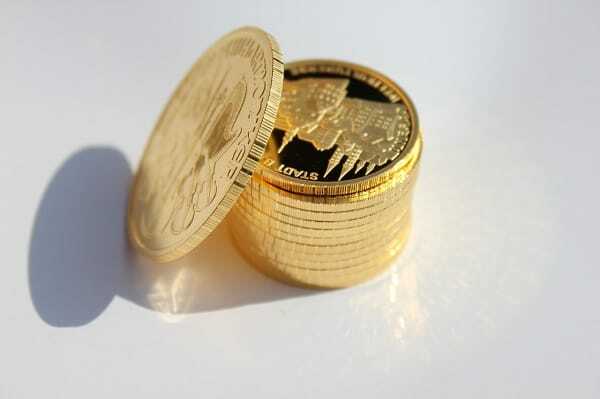 While gold slumped last year as investors fretted over the rates hike, Financial Times’ Henry Sanderson reports that the opposite is now causing the metal to flourish: Fears of falling and even negative interest rates around the world. Negative rates are already in effect by the European Central Bank and the Bank of Japan, but now, the Federal Reserve is considering the pros and cons of having them in the U.S. According to JPMorgan, “the move from a perceived ‘low and rising’ real interest rate environment to a ‘low and falling’ scenario would be supportive for gold” – the bank already reports an average of 1.4% monthly returns on the metal. And while it remains to be seen whether the price rally will fully translate to physical demand in China and India, the world’s largest gold consumers, a rapidly-declining mining industry seems to forecast that the metal’s upswing isn’t going anywhere any time soon. Gold and oil price have completely deviated. What does this mean for the economy? Find out here.